JEMP is a key infrastructural upgrading project by the Land Transport Authority. It adds a new platform and track for the Jurong East MRT Station, which provides connections between the North-South (NS) and East-West (EW) lines. The completion of JEMP will allow more trains to be deployed to ease the crowding situation at the Jurong East Interchange Station during the weekday morning peak hours from 7am to 9am. On 27 May 2011, the new platform at the Jurong East MRT Station will receive its first passengers. 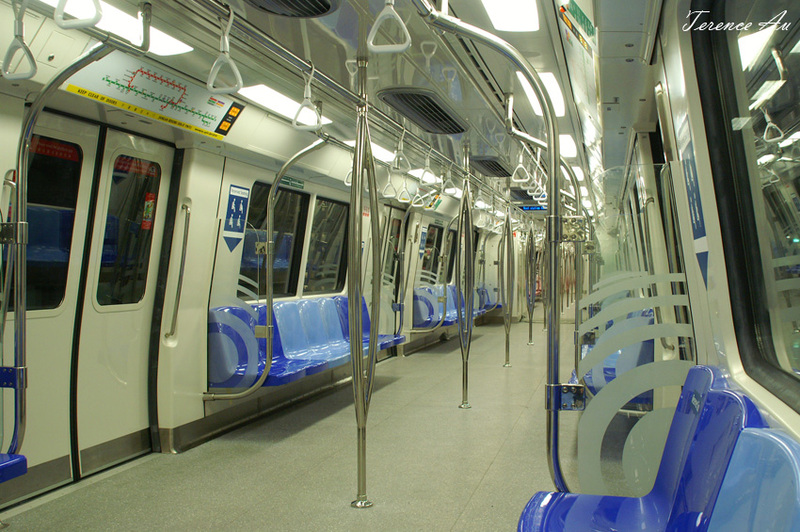 Come December 2011, when all 22 new trains are available, we will also open the platform during the evening peak hours. 1 A new platform will be opened at the Jurong East MRT station on Friday 27 May 2011. The platform is part of the Jurong East Modification Project (JEMP). It will enable the deployment of additional trains on the North-South and East-West Lines (NSEWL) to ease crowding and increase capacity. 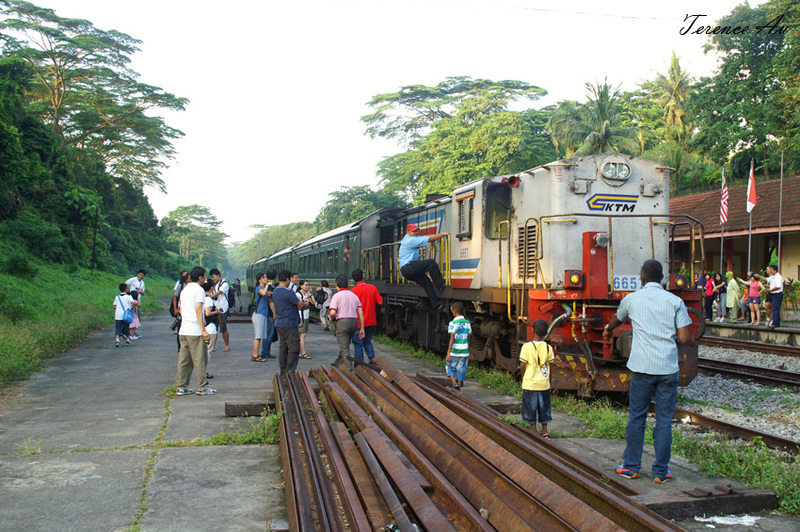 2 The new platform will allow five new trains to be deployed on the NSEWL from May 2011. By December 2011, another 17 new trains (on top of the five new trains) will be added, bringing the total number of new trains to 22. This will bring the total number of trains in service on the NSEWL to 128. With this, the carrying capacity on the two lines will expand by 15%. Commuters can look forward to shorter waiting times of 2 to 3 minutes at the busiest stretches, compared to the current 2.5 to 4 minutes. 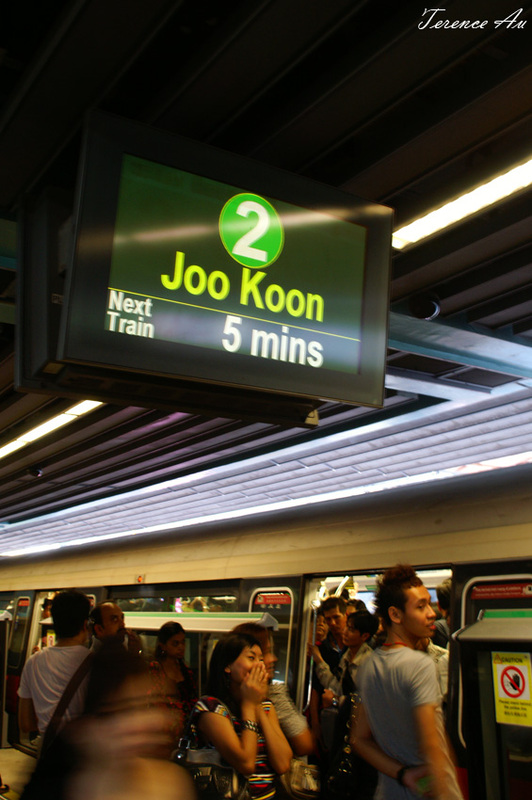 3 For a start, from 27 May 2011, the new JEMP platform will be used during the morning peak hours, from 7am to 9am on weekdays (except public holidays), as this is the time period during which Jurong East Station is the most crowded. 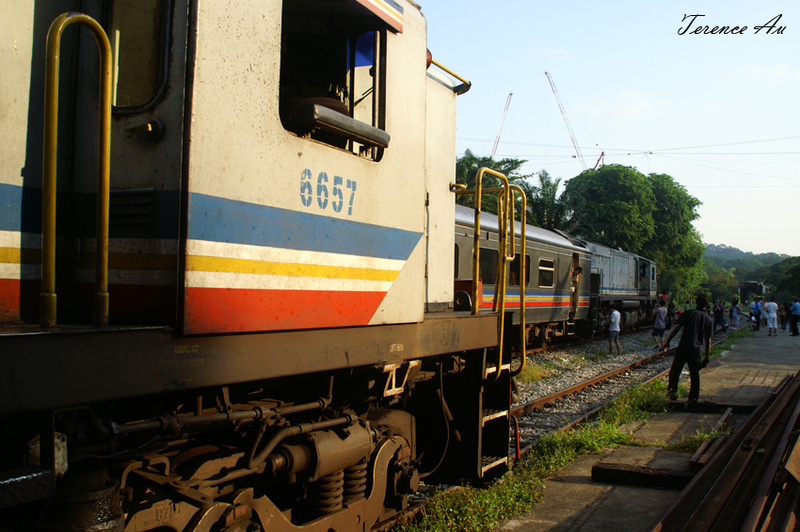 When more trains are delivered by December 2011, we will also open the platform during the evening peak hours. 4 Commuters will also be able to enjoy other improvements being made at the Jurong East MRT station. These include an additional entrance and a new passenger drop-off point for commuters working at the International Business Park as well as a pedestrian overhead bridge linking a new privathead bridge linking a new private bus pick-up point to the station. About 150 new bicycle racks have also been installed at the new entrance to the station for the convenience of commuters who cycle and ride as part of their daily commute. Please refer to Annex for the location of the new entrance. On 30th May 2011, several groups of the public were invited to Jurong East Interchange to understand how the JEMP will improve the transport hub. The Site Admin toured around with the ‘Friends of SMRT’ group, and after the discussion session, he was honored to speak to SMRT Trains Corporation, Director Projects and Technology, Er. Shek Lin Kai and Director Train Operations, Lui Weng Chee. Excerpt from the conversation. Q: How will the passengers along North South Line, at their boarding stations, know which platform will a Jurong East bound train stop at? A: Passengers can look at the RATIS (Rail Travel Information System) at the boarding station’s platform to see which platform the train will stop at. Platform A or D will be displayed. Q: For a passenger travelling on the East-West Line westbound, how can he know which platform to head to take the next departing North-South Line train? A: The passenger can look for the six RATIS display mounted on platform E (facing the EWL platform F) to see the next train timing. He can choose to stay at platform E. Alternatively, he can head to platform A. Missing a train at either platform will mean only a 4 minutes wait (2 minutes frequency on NSL). An example of ‘simultaneous’ departure on the Keio Line Shinjuku Station, Tokyo, where two departing tracks will join up before the next station. Trains can be closely packed together to enhance service capacity. Q: During the testing of trains on 2nd April 2011, I noticed that some trains were (unintentionally) made to depart together from Platform A and D. Can this actually implemented in operations? Q: Is this out of concern for energy issues, as the train would need to motor up again after coasting/stopping halfway to let another train proceed first? A (Lui): This is more for safety, as we do not want a train with passengers to be stopped halfway to end up in a complicated situation. Q: Now that the North-South Line has received its capacity boost at Jurong East Interchange, will the East-West Line face overloading conditions? A: Presently the NSL, Jurong East bound is operating at 3.2 minutes. This will be reduced to 3.0 (when JEMP first operates), and the EWL will still be at 2.2 to 2.0 minutes per train. This would mean that the EWL trains are unlikely to take double loads from the NSL. However this may occur every 20 minutes (due to scheduling). As the Directors of the subject are present, the Site Admin went on to ask further questions about the newly acquired Contract 151A (SMRT: KSF) trains. Q: The braking value for the new stocks is increased from 1.0 to 1.2 m/s (Full Service Brake), how is this actually implemented? There was a slight hush from the Directors, apparently they had not expected anyone to ask such in-depth questions. The Site Admin cleared the air after indicating that the information was from Kawasaki themselves. A: This is done by increasing the air brake (pressure). In fact all other trains utilize such regenerative+air brake blending to achieve 1.0 m/s braking, and the new trains are no exception. Q: For the new stocks, what is the speed that regenerative braking is cut-off? Q: That makes the Siemens still the lowest (most effective range)? A: Yes the Siemens cut-off at about 3 km/h. Q: How about full electric braking? I understand that Japan has this technology implemented on new stocks (actually since the early 2000s, I could not bring the technological gap too much! ), how about these (KSF) stocks which uses Japanese technology? A: Air braking is actually easier to control. A (Shek): Our drivers actually prefer older trains (C151 Electric Chopper SMRT: KHI) as they have more air brake control. Q: So its true to say that the drivers do not like the Siemens? A (Lui): Ah yes, you can say so. A Keisei 3400, reusing old electric components from the 70s (old AE), this train has a generous air braking starting from 45 km/h. A Keikyu New 1000 (Aluminium, Siemens SIBAS 32), using electric regenerative braking till a low speed, the stopping accuracy is increased, not only driver’s confidence is enhanced, trains can be operated at closer intervals to enhance overall system capacity. Q: New technology, such as the Permanent Magnet Synchronous Motor, can also be implemented side-by-side with current stocks, what is the possibility of them integrated with new stocks? A: We prefer to standardize and conform the technology in one system. One team manages a system, so we can implement new technology at new systems like the Circle Line. The first major implementation of PMSM rolling stock in Japan is Tokyo Metro Chiyoda Line, where they work side-by-side with the oldest Electric Chopper stocks, which are over 40 years into operation. 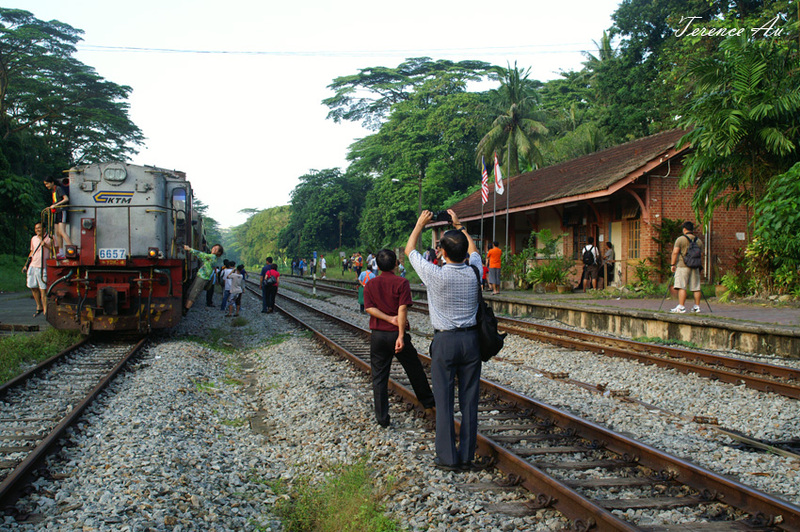 A special photo trip to Bukit Timah Station of Keretapi Tanah Melayu (KTM) Berhad. Tanjong Pagar station in the heart of Singapore, serving Malaysia and Singapore will be closing on 30th June 2011 after 76 years. Services will terminate at Woodlands Checkpoint, the only KTMB station left in Singapore. 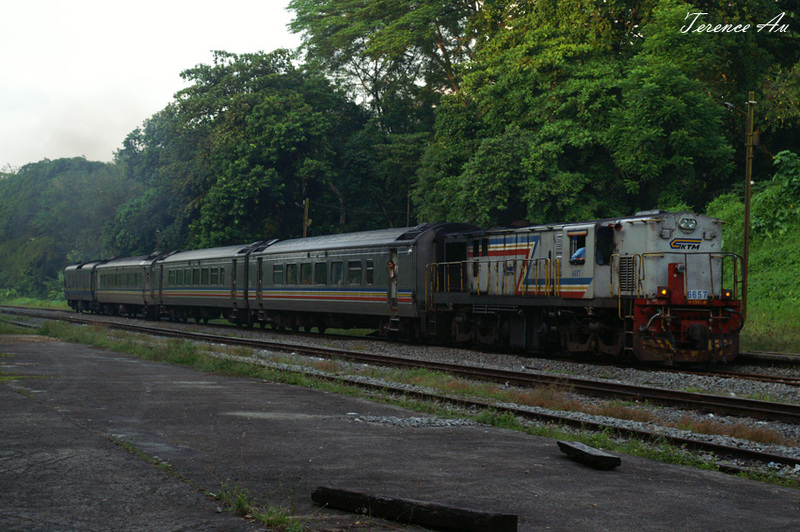 The morning sky at 7 am..
92レ* (92 UP), a shuttle service (Local/All-Stop) to Kuala Lipis on the East Coast Line. 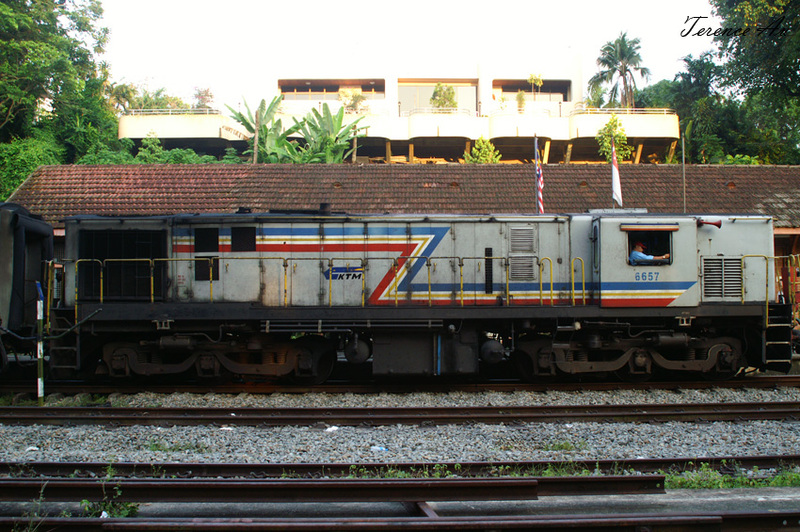 Side view of the duty locomotive, 6657, a YDM4. Heading out of the first track*, the 92レ then reversed into the third track* for two other trains to pass. Slight stir as the next train is approaching. 2レ* (2 UP), hauled by 25112, a EMD GT18LC-2. It stops at the second track* to allow 25レ to pass. 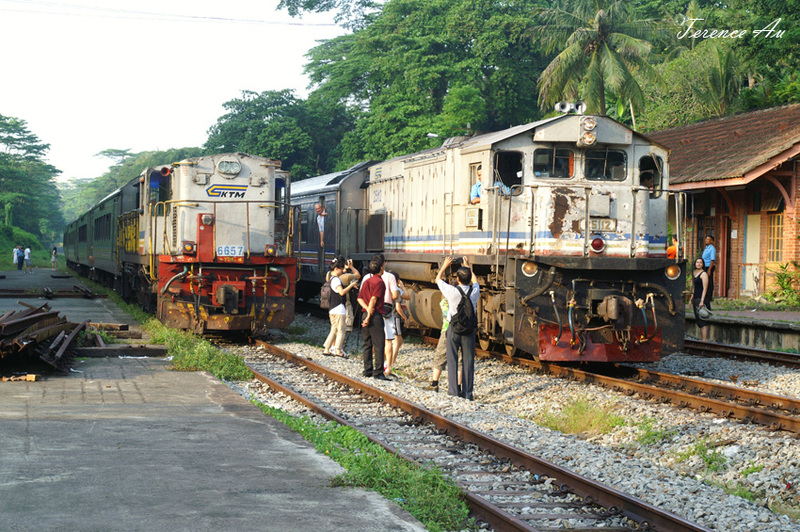 Two locomotives side-by-side as they are waiting..
For the delayed 25レ (25 DOWN) to pass by, on its way towards Singapura (Tanjong Pagar) station. *レ (pronounced ‘re’ in Japanese) is the designation for a locomotive hauled train in Japan National Railways and now JR Group. Used here to denote the similar type of train used. *First, second, third.. tracks, in Japanese practice, are noted from the station master’s office. This is convenient as all staff understands where the station master’s office is, and can respond to any incident/emergency quickly. An article posted by Au Waipang on his blog Yawning Bread talks about how the Singapore government have seemed to make a U-turn on public transport and housing policies. I find that the author has made a good point in highlighting the changes in policies made since the previous transport minister, Raymond Lim, who has since stepped down from the position and political stage. The new Minister of Transport, Lui Tuck Yew, was seen taking buses and trains since he entered the position after the May 2011 General Elections. A post from The Straits Times was quoted on Mr Au’s blog post and I would re-illiterate it here again.
. . . the Government will be working with the two bus operators to add ‘significant capacity’ to the bus network in the next three to four years, as new rail projects are being built. He said that if it were left to the bus operators to add capacity to the overall system, they would take a ‘relatively cautious and gradual’ approach. ‘We are mindful that sometimes, it may not be at the speed necessary given the bottlenecks that we face in the transportation network,’ he said after the launch of tunnelling works for the MRT’s Downtown Line Stage 2 in Bukit Timah. ‘So, it is necessary for the Government to work together with the operators so that we can inject this capacity in a very timely fashion,’ he said, but did not elaborate. Mr Lui, who took over the transport portfolio on May 18, said that adding significant capacity to Singapore’s public transport system was ‘very, very high’ on his to-do list. Mr Au touched upon the fact of SBS Transit’s 7.53% after-tax profit and I would not go into that, however, my concern would not only be who is buying the buses, but also what will happen to the buses when the future rail projects, that they (the buses) are used to cover, are completed? 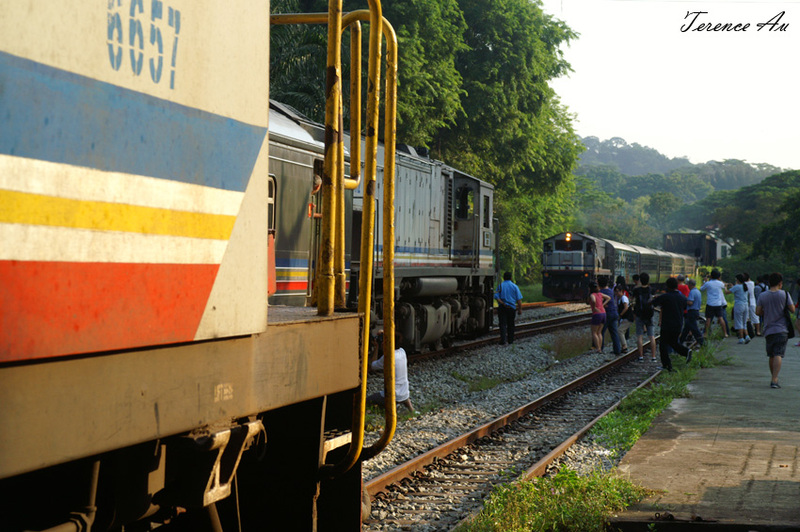 Internationally, a million population demands the need to build one heavy rail line. The population of Singapore is at 5.08 million at June 2010 (Statistics Singapore). This would translate to 5 heavy rail lines. This ratio does not directly account for bus transportation. The effectiveness of bus (road) transport, although cannot be directly compared with rail, is negligible, as it is often a connection medium rather than office-to-home transportation (explained later). 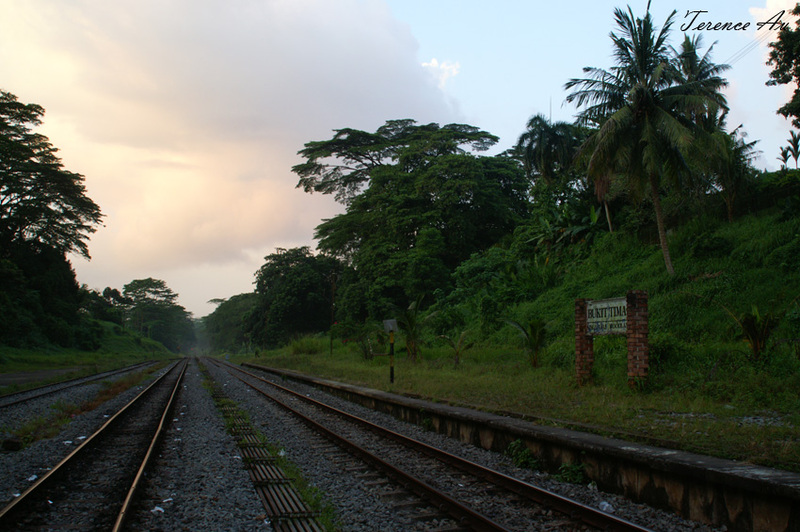 With the North-South-East-West Line (hereby NSEWL) system, two million is covered. North-East Line, another one million can be served. The Circle Line, being designed three-car long for station and rolling stock wise, can only effectively serve half a million population. The Land Transport Authority designed it as a ‘mid-capacity line’, however based on the scale of the construction (fully underground, 46 kilometers long when in full service Q4 2011) and areas it serve, it can be justified to be compared side-by-side with mainlines. At a simple sense, by Q4 2011, our 5+ million population will fight for 3.5 million-population-capacity rail lines. A heavy rail line can be determined in different senses, but the numbers usually center on certain basic principles, connectivity from the city where people work in to the towns where people reside in, each train can carry about 1000+ passengers, consisting of frequent station stops and peak-hour frequency of 2 minutes or less. 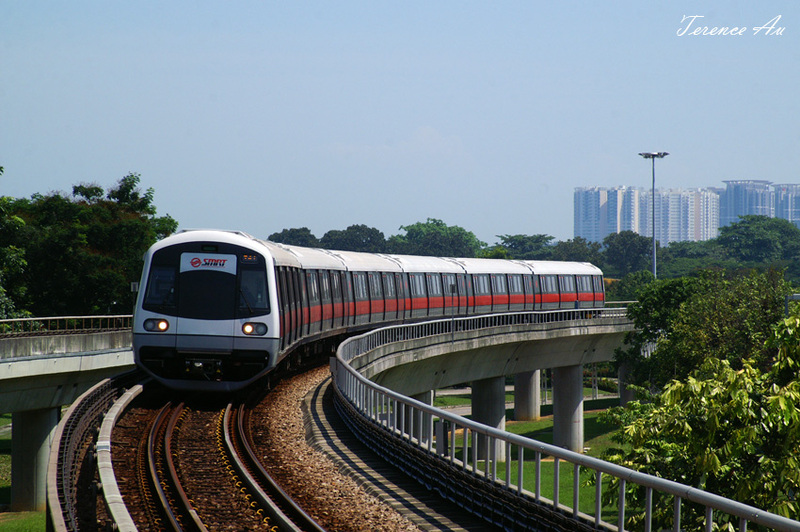 Mass Rapid Transit Corporation, MRTC, a government headed body was born in the late 1970s to come up with a basic system of Metro in Singapore after the debate on future transport in Singapore sided over to the trains. 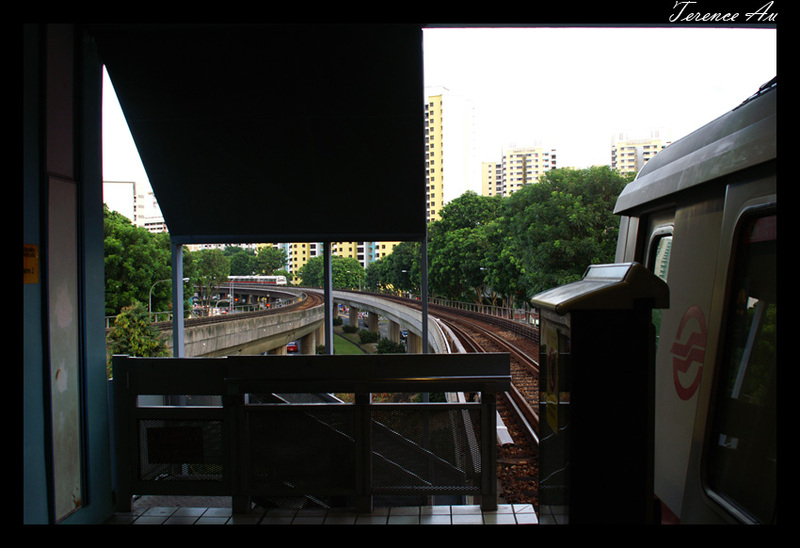 MRTC master-minded the North-South and East West Lines, with the future expansion to include Woodlands area, back in the 1980s. Energy efficiency, noise insulation (apparently to be upgraded by LTA this year) and service planning showed positive in the development for MRTC, extensive effort was put in and still can be appreciated today. It is however disappointing to point out that with certain changes in policies with the restructuring of MRTC, which gave birth to LTA and SMRT Corporation, one governing and one corporate body, somehow damaged the good seeds sowed by MRTC back in the 80s. MRTC, in 1987, had planned for frequency of trains to arrive 1.875 minutes (112.5 seconds) during the morning peak from 0730 to 0800h, while the rest of the morning peak would vary between 2 to 3 minutes. At optimum scheduling, a train-following will coast at near-proximity before the forward-train will depart the station. This is one strategy that can be used to achieve 112 seconds frequency, but rarely used now. 5 minutes during rush? Very true. Not due to disruptions, but majority to scheduling faults which may have went quietly under the nose. Come 2000s, our best train frequency had increased beyond 2 minutes, and trains were increasingly difficult to get on, not only due to the absence of parallel-running lines, but also insufficient trains vs population increase. 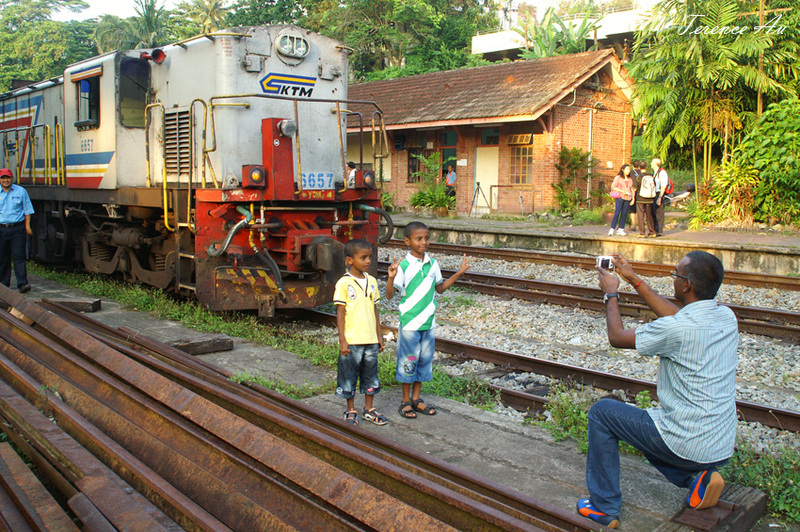 Before 27th May 2011, there were 106 trains operational on the NSEWL. Ten percent (based on the service estimate by MRTC) of trains would be used to replace faulty units, hence 95 trains would be ‘constantly available’ for service. A simple calculation can show that operational margin was very narrow during several years when the system expanded but not the fleet. ‘EWL two directions add up to about 50 (24 Train-Per-Hour, TPH x2 + 2 trains as a margin) trains used. CGA Line uses 2 trains at rush hours. Total 52 trains. NSL two directions at a mean 5 minutes per train means 26 trains used (12 TPH x2 + 2 trains as a margin). YIS to MRB takes 23 minutes, two-direction 46 minutes. In order to hit 2.2 minutes with SWT this sector alone has to have 21 trains running. Sector at 12 TPH (5 minutes per train) = 9 trains, sector running with 21 trains, 2.2 minutes frequency = 27 TPH. 21 – 9 = 12 additional peak hour SWT trains. 26 trains (at 12 TPH) plus 12 additional to bring MRB – YIS sector to 27 TPH plus 4 additional Yew Tee SWT = 42 trains. Posted on Skyscrapercity by the Site Admin. Hence LTA rushed to tender Contract 151A, 22 trains for NSEWL in March 2009, which was awarded to Kawasaki Heavy Industries・Kawasaki Heavy Industries Rolling Stock Company (川崎重工・川崎重工業車両カンパニー) and CSR Qingdao Sifang Co. Ltd (中国南车青岛四方机车车辆股份有限公司) at 368 million SGD. 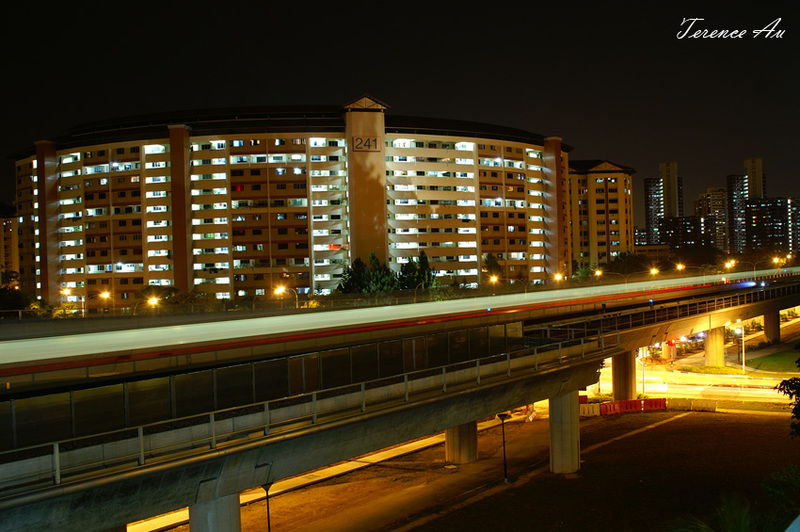 The first 5 trains arrived in 2011 and were introduced into service on 27th May 2011 with the expansion of Jurong East Interchange. All 22 trains will be in service come December 2011. It is not of shame to mention that the Contract 151A trains resembles the Contract 751B of 21 trains made in 1999. An engineer’s regret that I have would be the non-improvement of the running equipment despite the advancement made in the field though the ten years, apparently omitted due to standardization. To improve the NSEWL system further, a new signalling system (actually an upgraded version from the present) will be in full service by 2017. New trains would be introduced with the completion of EWL extension to Tuas Checkpoint and Tuas Depot, which will be able to hold 60 trains and boost the depot capacity which currently stand at 100 trains. The other 6 (and 28 by end of this year) trains will park at non-covered sidings within the depots, as there are no sidings for parking within the system. The present method to bridge the gap between rushing population and rushing rail projects is apparently buses, the alternative in Singapore. This gap, however would last fully until the Downtown Line is completed, well within the lifespan of the additional buses to-be bought to put out the fire. Then, we will have more buses to deal with than rail, even counting in the non-reduction of bus services. No, its not the factor of who is going to pay for these buses. Neither is it the question of whether it will cause more ERPs, more jams or more conflicts with other public road users. It is, where these buses will end up, will they be wasted. Buses last 17 years by license alone, usage can be well 19 years, way lasting than the next rail project deadline. Public transport is about utilization, one factor that sets us apart from developed countries. Our many examples of under-utilization has cost us much money. Ill planning and feedback contributed to this. Where there is no demand, there is still ‘historical’ routes running, where there is long standing, even future demands, there is insufficient service. Buying more buses, no matter from whose wallet, will cause a seemingly well utilized system now, a well defined surplus in the future when rail service seem to cover the road. A tussle over several years later may ensure, whether rail development or road development comes first. Budget is limited, this applies to the government as well. SBS Transit over the recent years have embarked on a Godzilla momentum to renew its fleet, with the wheelchair accessible Volvo B9TL (200 units) in 2006, the Scania K230UB (1101 units, largest single order to date for Scania/Singapore) in 2007, the Wright Volvo B9TL (150 units with options) in 2010 and full low-floor Citaro (300 with options) in 2011. SMRT Buses however, have been holding its horses, introducing only limited amount of wheelchair accessible buses in 2008, the OC500LE (134 units) and the Citaro in 2010 (11 units). Being cautious in this environment is appreciated, as rail development continues, the congestion on roads can be well felt. With more buses introduced, we are faced with a duo-sided progress, rail and road, which to choose and develop better? An interim solution would be hard to devise, but several suggestions can be looked upon. Delay the scrapping of serviceable old buses until the next rail project is completed, namely the Downtown Line. At the same time, limit the amount of new buses introduced to ensure as much as possible, the surplus of buses will not be extreme after the rail line can satisfy the bus services it complement with. These complimentary bus services may see a reduction (large sectors of complement with little passenger catchment) or increase (sectors where rail service cannot cope alone/festive seasons). Revision of services within the current rail system. Adjust the amount of cross-over trains, adjust the connection timings between different lines, manage the crowded sectors and introduce perks to commuters who take public transport early (before 7 am). Of course, working hours have to be adjusted and only limited amount of commuters can benefit from this. Certain issues were also raised up about the negative experience on the rail system. Several strategies can be considered. SMS system (subscription, paid/unpaid) for notification of train service disruptions. This system will only be used when the identified problem/incident/accident exceeds a nominal 10 minutes. This will allow commuters who are already in the system to exit and find alternative transport instead of waiting beyond their buffer travel time, importantly, for commuters yet to enter the system to find alternative transport quickly, often before they step out of their homes. Better deployment of information throughout the system, from management, control to ground crew levels. The installed RATIS (Rail Travel Information System) provide a good existing channel, albeit damaged by the frequent commercials and not-so-often display of the next-train timing. The channel of communication from management to ground would be hard to advance presently especially with the amount of resources already used, hence a step-by-step approach would be necessary to improve yet not waste resources. I believe that I have put in enough suggestions to probe into this U-turn of policy. Rome is not built in a day, neither will our infrastructure. Company policies are often affected by political powers, no matter in which country you live in. Next time you would like an improvement in you area, and you have good proof/reason to do so, it may be a good idea to go for your area’s Minister of Parliament (MP). A simple check on the display of photos for this theme. 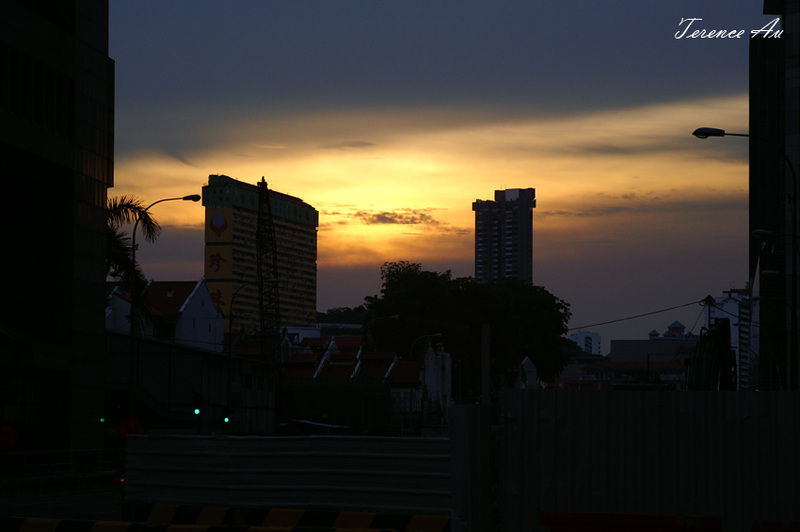 Sunset near Lau Pa Sat. 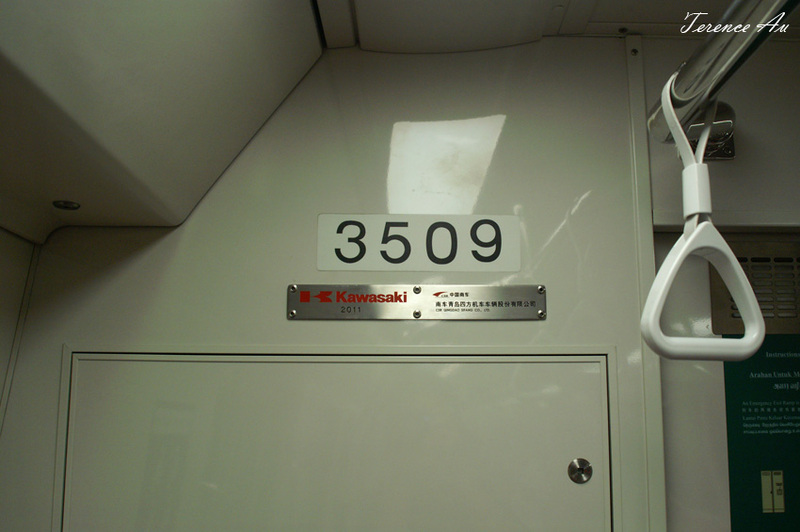 Interior of the new Kawasaki Japan/CSR China C151A rolling stock in Singapore. Number (sticker) and builder plate of new C151A rolling stock in Singapore. 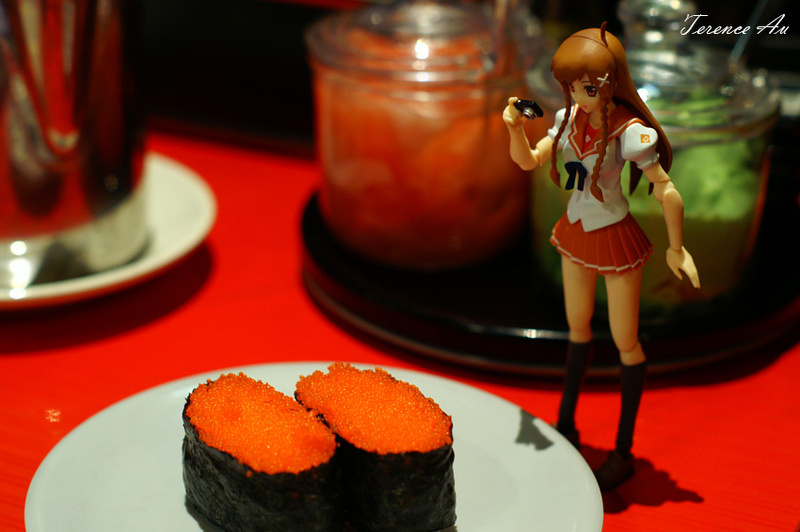 Mirai loves sushi! Nihon Mura Restaurant (The Cathay). 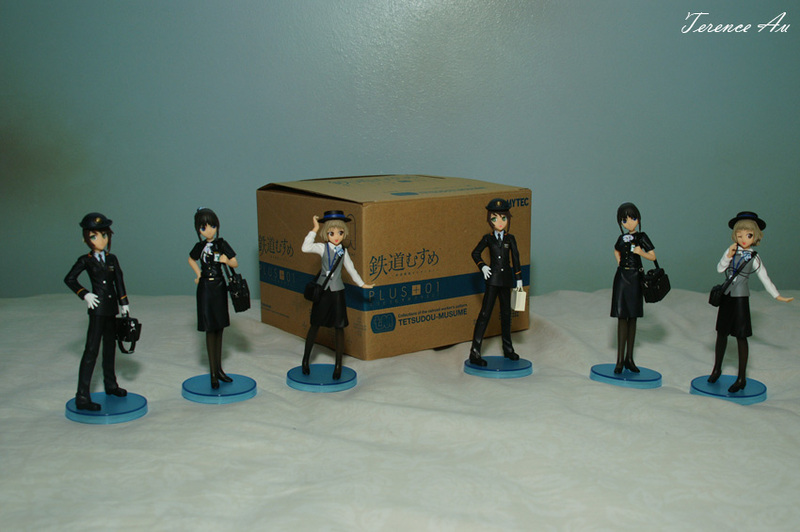 New 鉄道むすめ PLUS 01 figurines. Minibus Group just underwent a major renovation and settling down at a new home. It will take some time for me to fix up the place, make it comfy and re-do all the information previously published. As the shift to the new home required some ‘housekeeping’, all previous posts have been deleted. Photos however are kept and should be available with the same links used previously. The Site Admin look forward to your regular visits and hope to bring you more exciting news about Singapore, Japan and the World!